We were floating over a wide expanse of corals! After discovering over a year ago that Legazpi has diving opportunities, I was back to explore Albay Gulf. 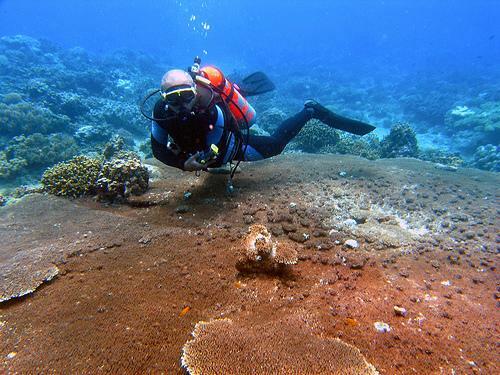 It is not really known for scuba diving, I just thought it isn’t much exploited and it would be less crowded and I would have enough time taking it slow, down in the depths. Craning my neck looking for Mt. Mayon as my plane prepared for arrival, she was hidden by clouds even as we touched down. Seeing her countenance everyday was another inspiration for my three-day get away. I was noting mentally my to do’s for the day as I headed for my new house at Mayon Backpackers, located perfectly in the downtown area bit far from the dive shop. But going around the city all by myself was just as interesting as discovering one new place, surface or in the depths. My diveshop was too kind to arrange for my pick-up and being early had given me enough time to take it slow as I wait for my companions. Indeed, it wasn’t congested there were only two of us as their guests, I was joined to a 67 year old Japanese who just earned his certification few months back. Taking it slow as I wish! Bubble corals were also abundant! We cruised shortly to our first descent, DM Almar briefly introduce the site which they called as Itom na Buya (Black Bouy) which I presumed originally marked with black bouys. 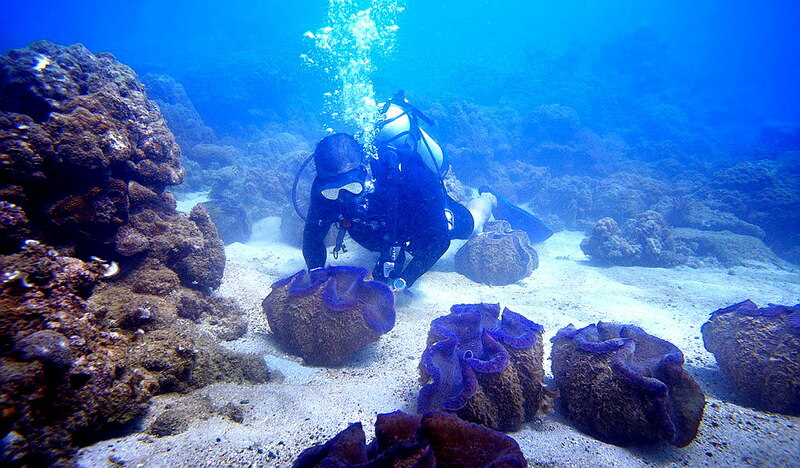 Mr. Jin Masuda of Pacific Blue have mentioned that restoration of the bay is on-going but it was surprising that the area was colorful and was filled with variety of corals including wide sea fans in different hues. Although the fishes were juveniles but it wasn’t totally devoid of marine life and it looks healthy. 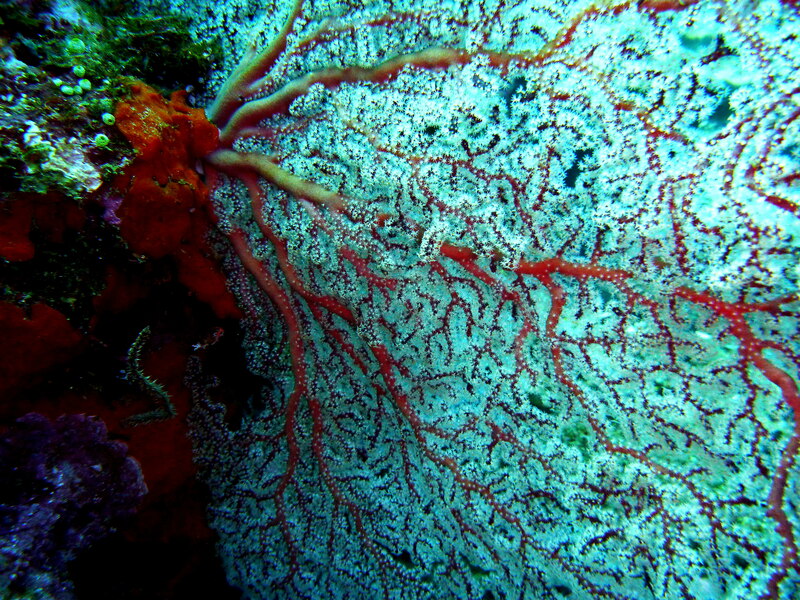 There were bubble corals, branching corals, rubber corals, whips, ferns, and feather stars. There were occasional juvenile nudis, and we found a shrimp lurking on the coral. We ascend after 47 minutes with air at 80 bars, my deepest was 25 meters. Our second descent was in Pasig Out (there must be Pasig In! 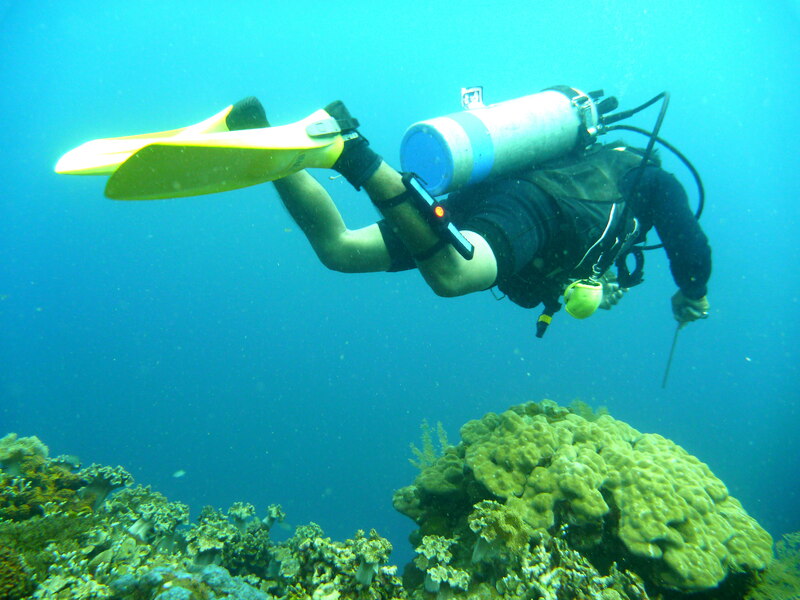 ), a sandy slope which is not really far from dive shop shores. 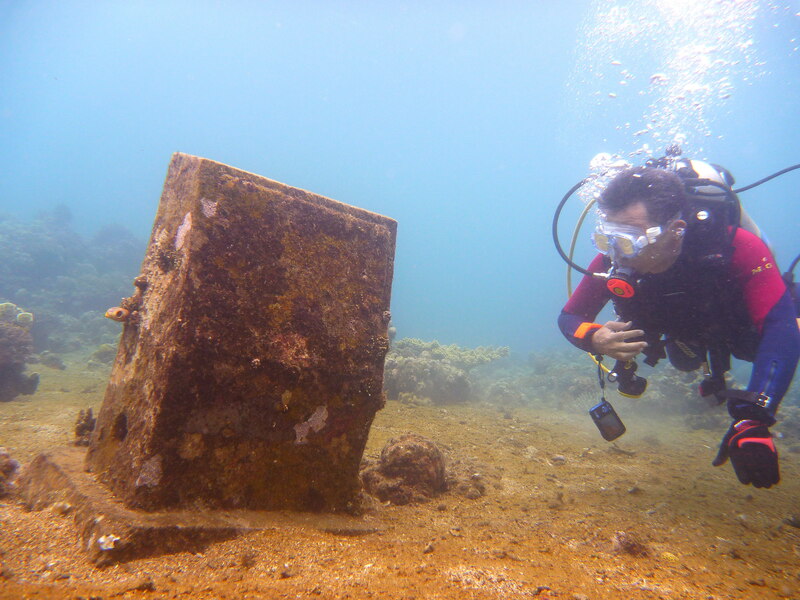 Our first sighting was a tombstone of diver who lost his life in accident while diving many years ago. It still standing there now covered with fossilized parasites. For sure, diving in Albay wasn’t something new and maybe the diver or the accident has been forgotten buried from lapse of time . 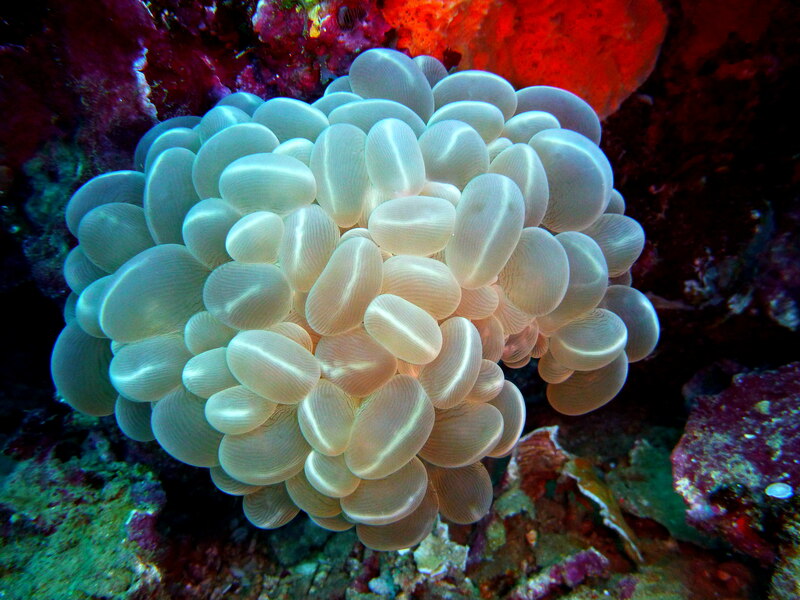 Corals also abound in the area – bubbles, rubber, staghorns, spirals, seafans, whips, squirts and even crown of thorns. 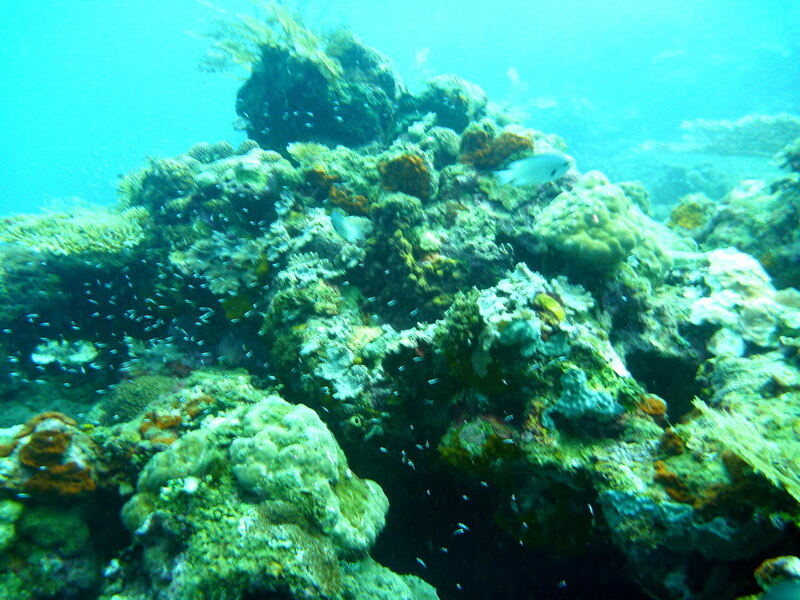 Although there was an area of coral rubbles the reviving and flourishing marine life is imminent. Juvenile fishes are contently hovering over corals! At noon, the waters went choppy already, not wanting to stay on the surface longer I carry my tank on my own. We ascend after 40 minutes with air still at 100 bars, my deepest at 22 meters. Juveniles wiggling among the corals, marine life is obviously thriving in the area! The crown-of-thorns starfish, scientifically known as Acanthaster planci, are considered one of the serious problems besetting a coral reef ecosystem. The reason is that the crown-of-thorns starfish feed on corals, removing the polyps and leaving the corals bleached and dead. The feeding frenzy is pronounced during outbreaks of the species. 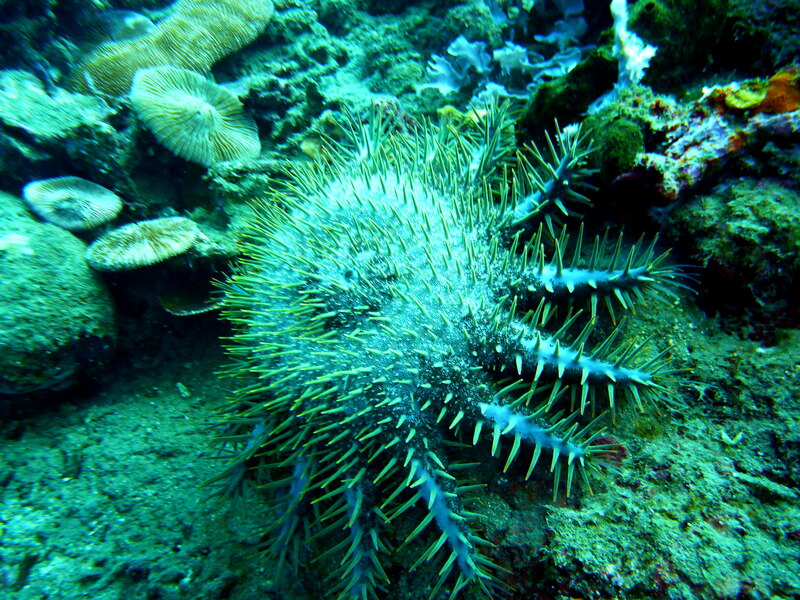 Crown of thorns is now a common specie sighted during diving – a reality besetting the marine world, an indicator of the reef system imbalance. Some reason of outbreaks is due to the loss of its natural predators which include triton shells, prawns and trigger fish – which are hunted by humans for food. High levels of nutrients in the coastal areas can attribute also outbreaks, which accumulates due to human activites offshore or water run-off. The specie is generally common during summer, as they thrive in warm waters. Above photo was taken during a dive in Albay Gulf, there was a big colony of them scattered in Pasig Out area. Such a dreaded sight! 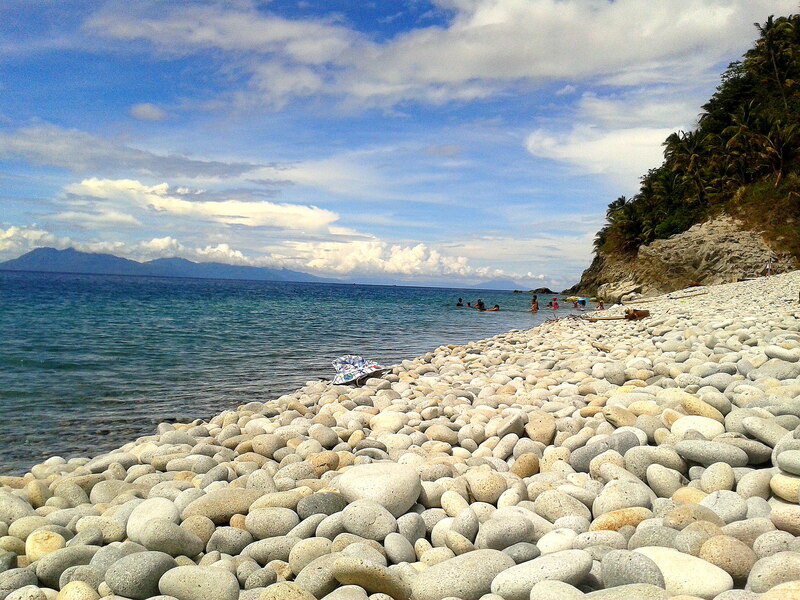 My wish to explore Albay Gulf was granted, just a couple of days ago. Indeed, there is always beyond the surface. We paid respect to a diver who choose the depths as his graveyard. He died many years ago, cremated and his ashes sprinkled over this area, this must be his favorite spot. His tombstone is now calcified and encrusted with algae. The inscription is not readable anymore. 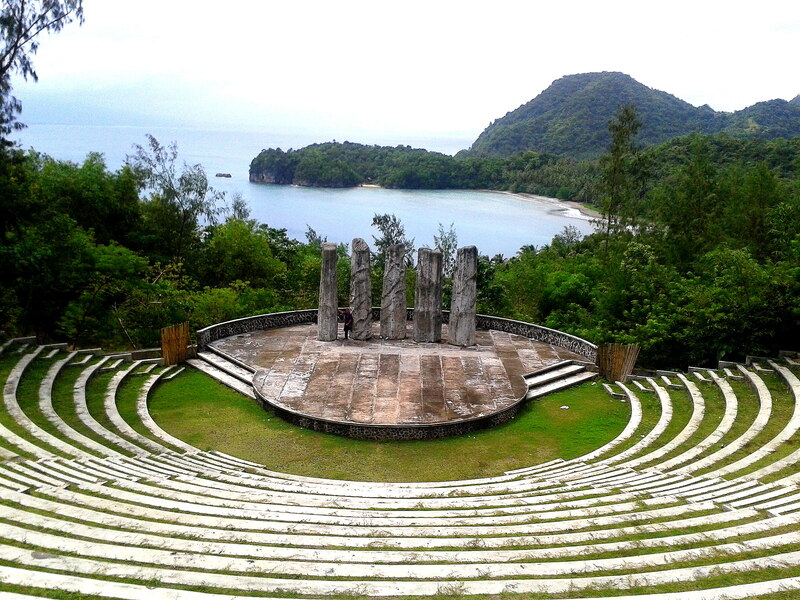 Just one of the highlights in exploring Albay depths!